Don’t you just love the sunshine? Most cats do; most naked cats do too, a lot, for obvious reasons. Lexi Liu and Moshe Moshi are no different, but they do love it differently, from each other. 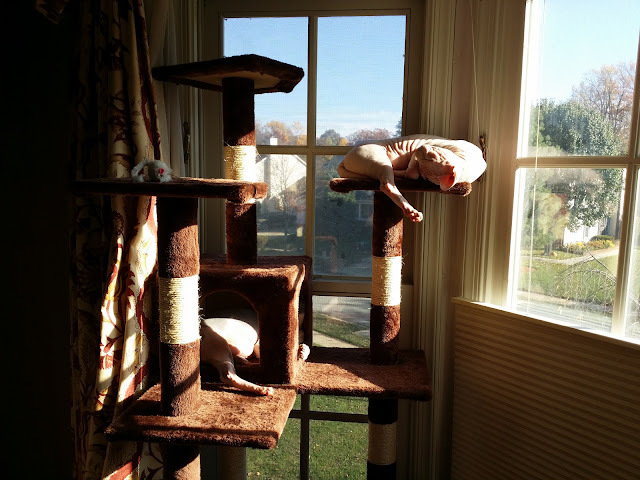 Maybe it’s because of those early years in Africa where she had her distant wild cousins to gain an example of proper sun-lounging from, but Lexi Liu tends to not fond of direct sunlight. 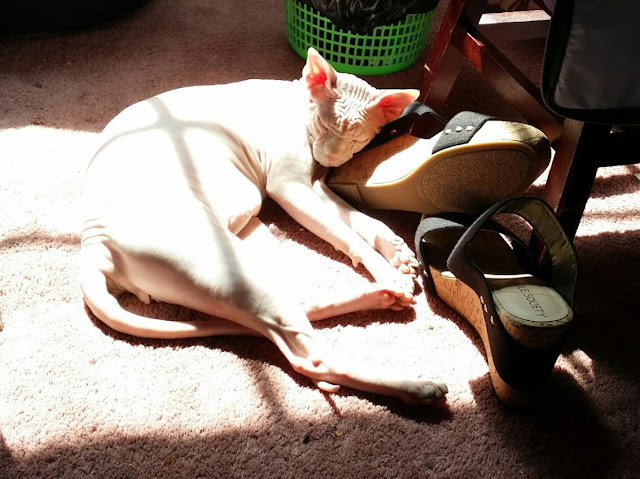 She likes diffused soft sunbeams and limited, direct sunlight on parts, but enjoys warm, shady spots the most. Moshe Moshi however, loves to play with danger. 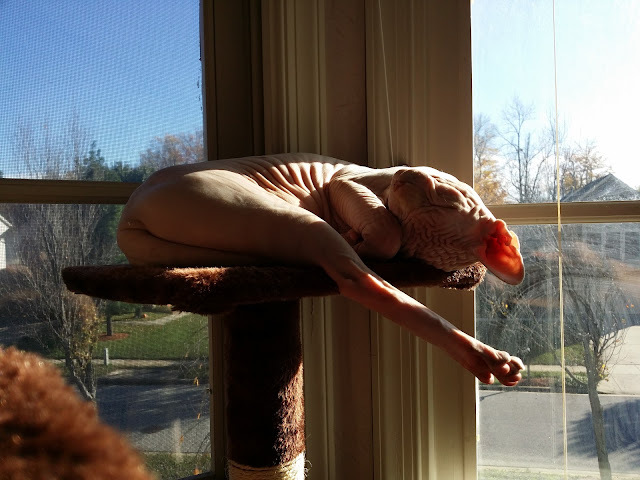 He would lay on the sun if given a choice. 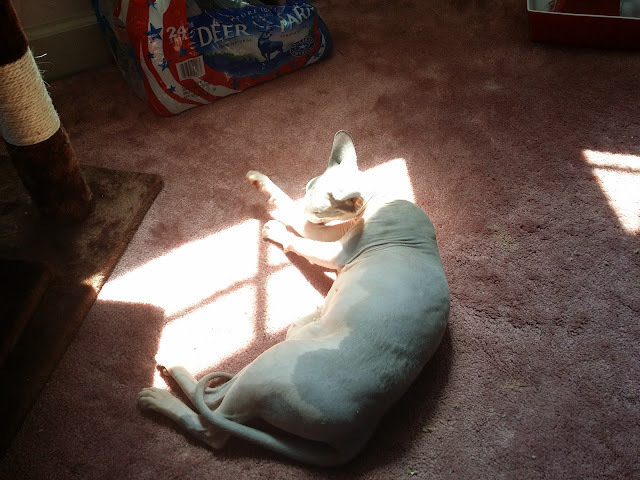 I have to monitor his intake since he is a Sphynx, white and has had a couple of instances of sunburn. 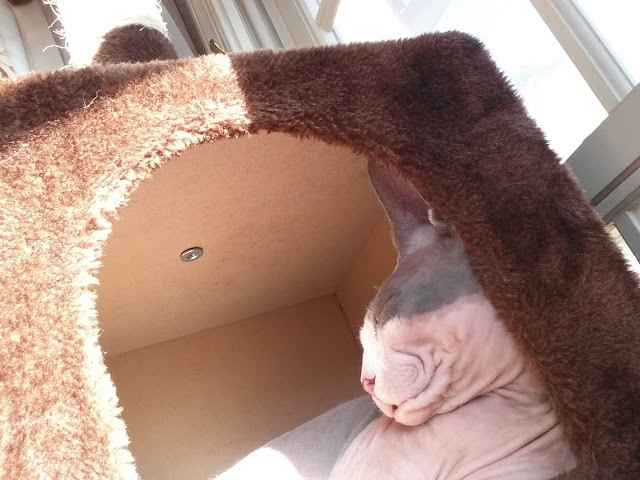 I also am concerned about skin cancer (why not, people get it, why not cats), so I have to wake him or put something on the window to limit the Ultra Violet rays. We do use Neutrogena Pure & Free Baby Sunscreen Lotion, but sparingly since it is not approved for pets. But still, he really enjoys the sun. We three are with MM! We loooooooove the sun!